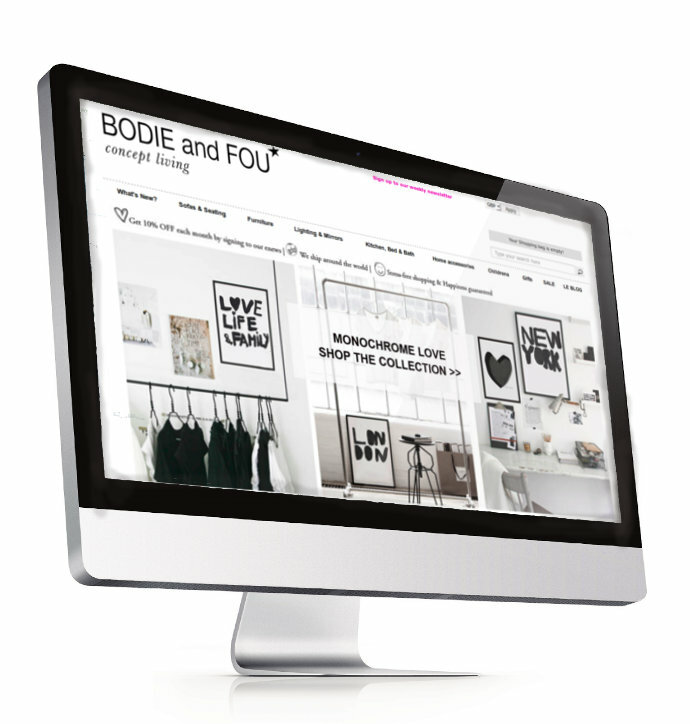 Bodie and Fou are an award winning, designer home and fashion concept store. Their stylish website was not generating the conversion rates that their unique range of home wares and décor deserved. Following our site audit we decided to focus on improving the checkout on their new site. We removed their complicated five-page checkout and replaced it with a simple two-page checkout. In addition to this we improved their call centre software and facilitated the automatic printing of packing lists and postage labels. This streamlining of their warehouse operations was achieved through integration with Metapack. Bodie and Fou saw an immediate 50% YoY increase in checkout conversion rate following the launch of the new site. The new label printing systems is saving 2 hours a day, which can now be spent on more pressing matters. Their site now has with all the functionality needed to grow a multi-channel business.